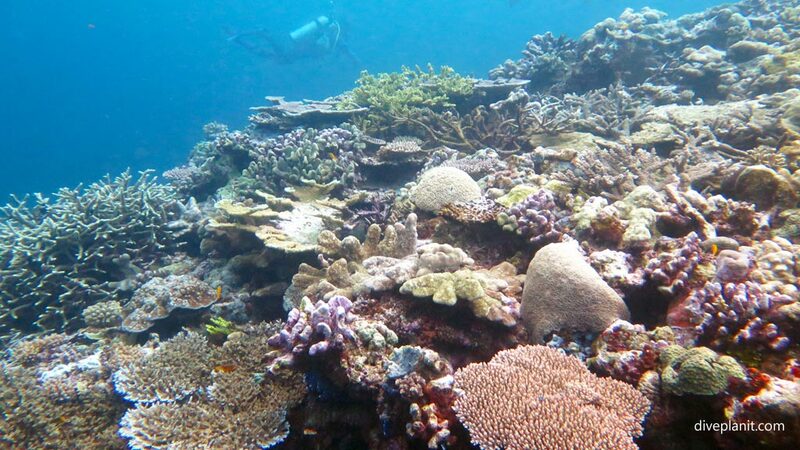 Location: Off the north west coast of Rendova, about 30 minutes from Munda. 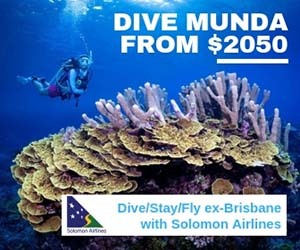 Solomon Islands. 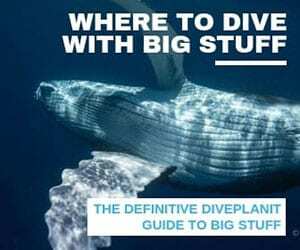 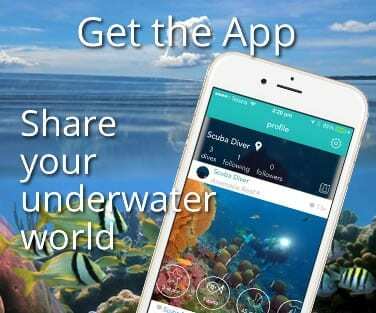 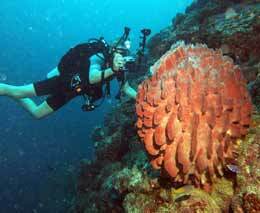 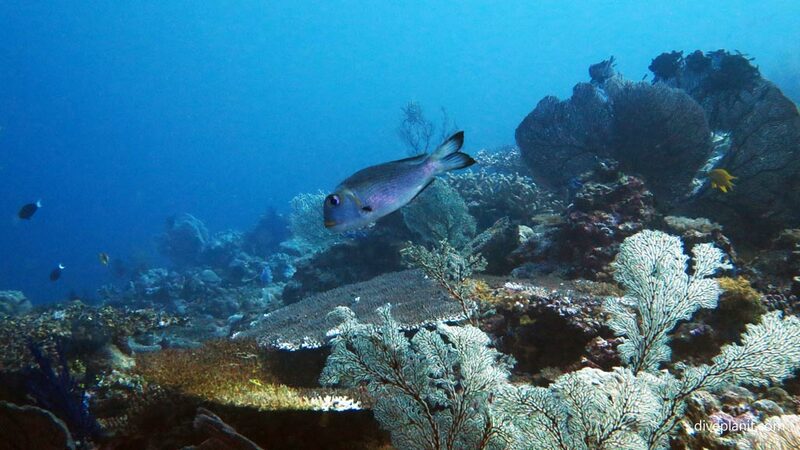 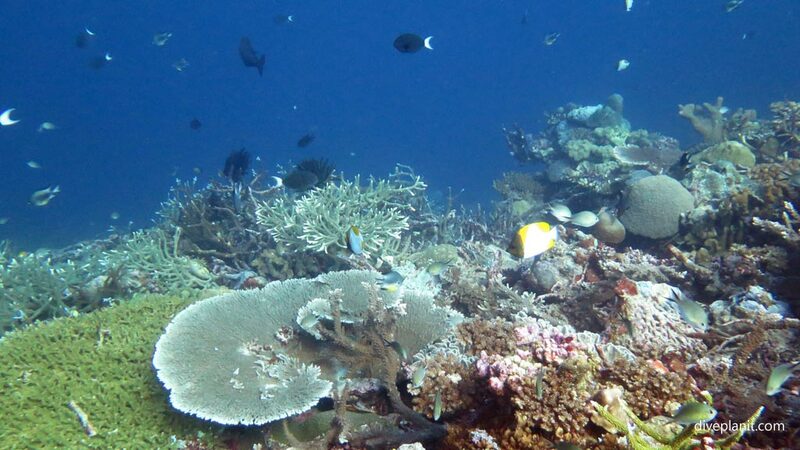 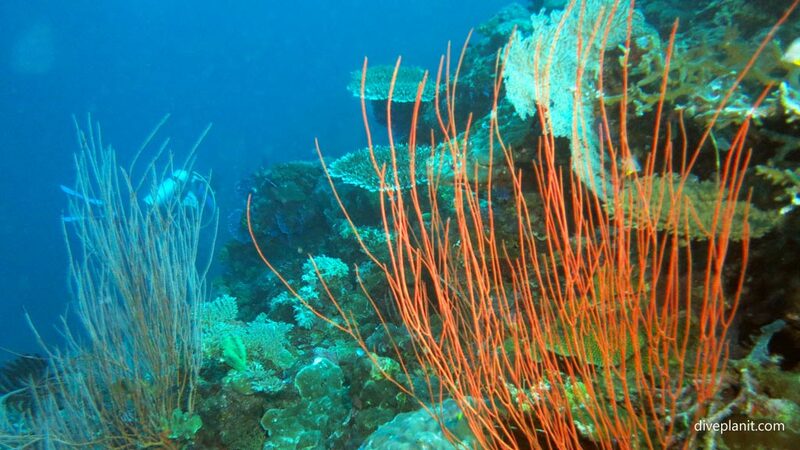 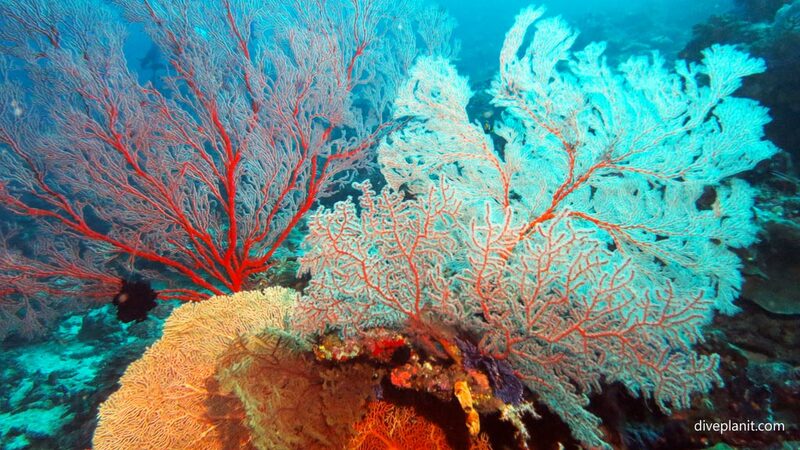 As you drift down deeper you’ll find Whip Coral,..
And large seafans and soft bushy corals. 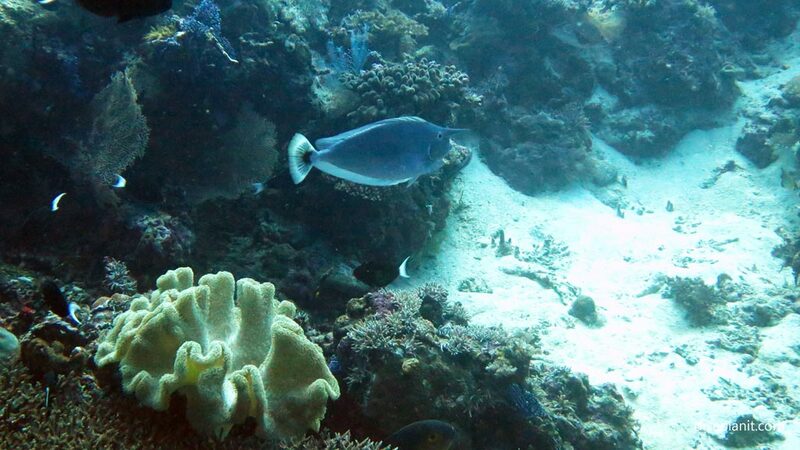 The strangely named ‘Bignose’ Unicornfish – who doesn’t have a horn – just a Bignose I suppose. 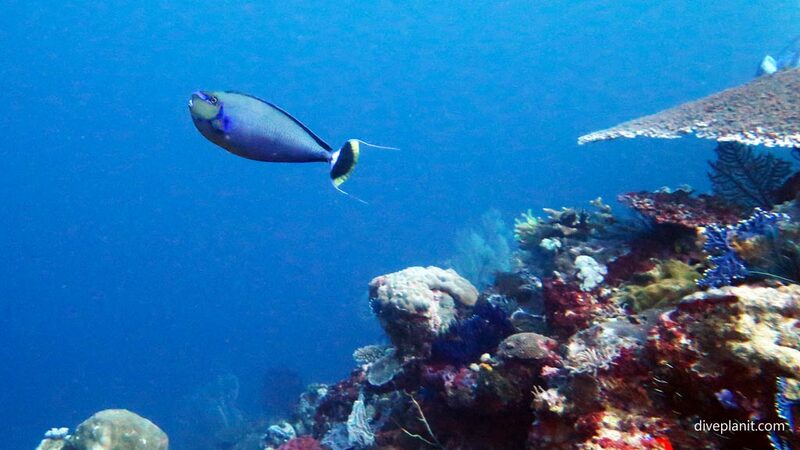 And the Spotted Unicornfish, who doesn’t have spots, but rather a horn that’ll take your eye out if you’re not careful. 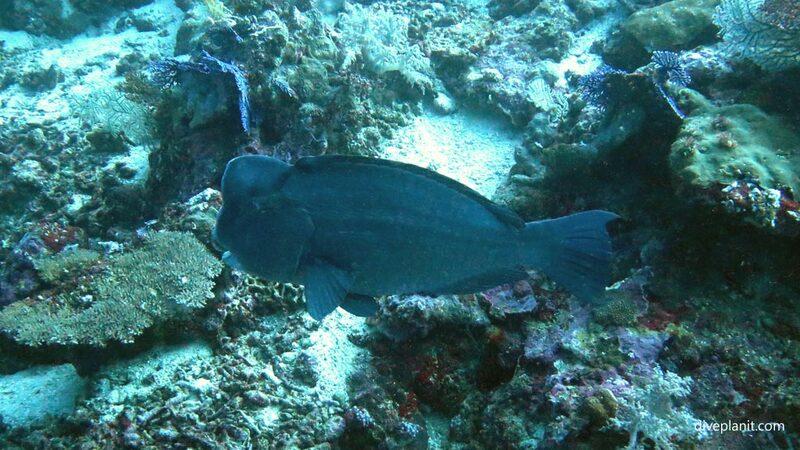 There are also some isolated Bumphead parrotfish down there, but they tend to avoid divers. 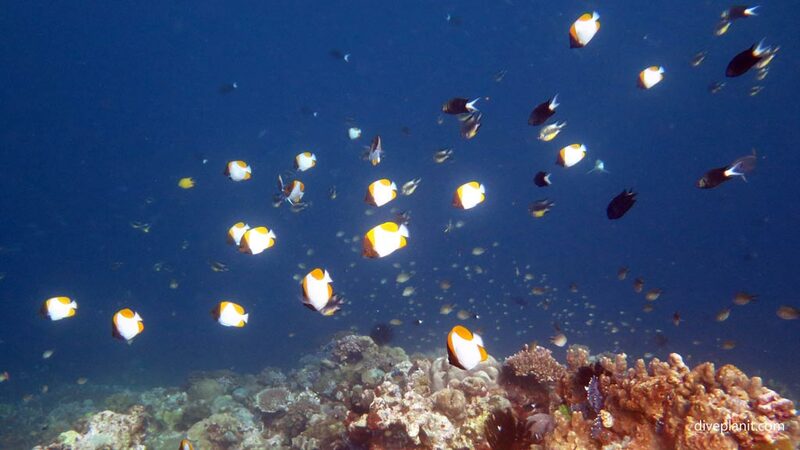 Back up towards the safety stop, the brightly coloured fish school in the sunlight.